Alright guys, it’s time for another United Tastes of America post. We’re beyond pumped to introduce you to Lauren (aka Fluent in Food) today on Nomtastic Foods. She’s going to give us the 411 on the best food in Miami, FL so you’re definitely gonna want to bookmark this and refer back to it. So, without further ado, let’s take a look at her epic recommendations! 1. 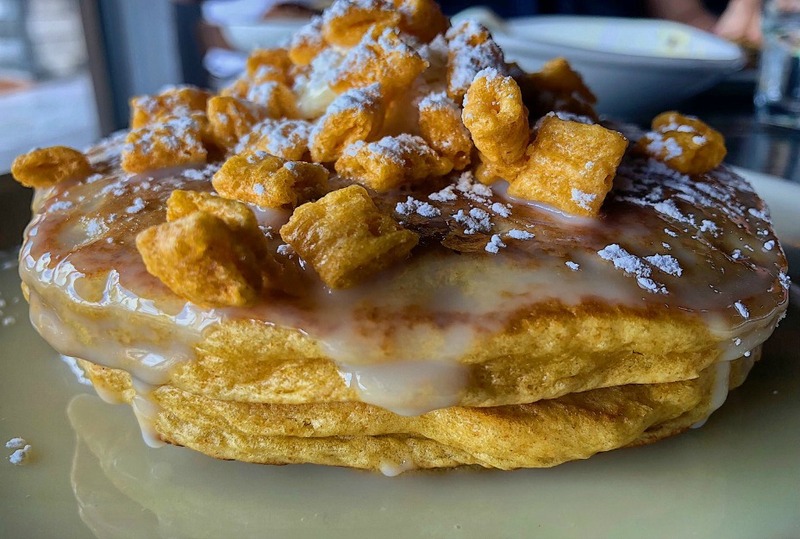 Grab brunch with your friends: Eating House offers some really unique brunch options that are always instagram-worthy. Perfect to grab some mimosas and amazing food with friends. 2. Satisfy late night cravings: Pinecrest Bakery. 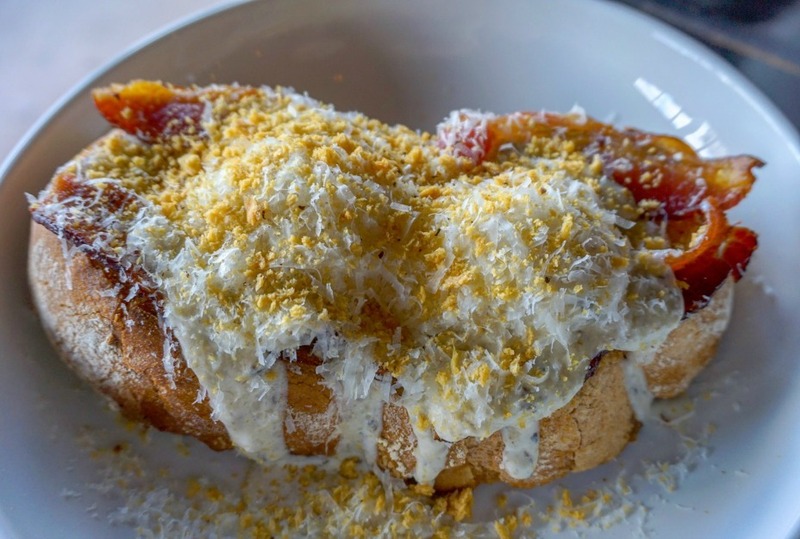 This cuban bakery is a staple for locals, especially after a night out. Open 24 hours, they serve coffee and pastelitos for under $5 and have various locations. Artichoke Basille’s Pizza, located in Ricky’s South Beach, it’s another perfect place to satisfy cravings after a night out. I recommend obviously their famous artichoke pizza, but also their vodka pizza is A+. 3. 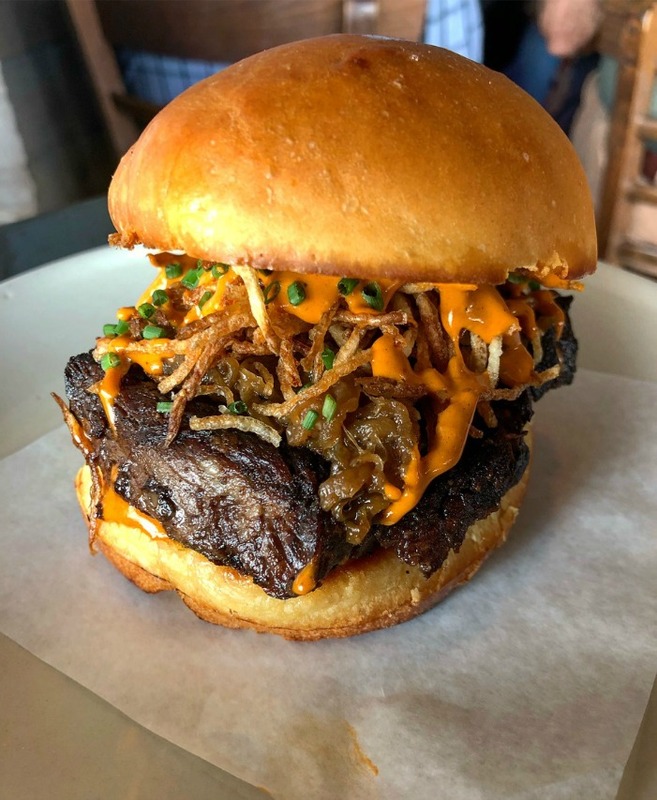 Splurge $$$ on a killer meal: Chef Adrianne’s Vineyard Restaurant and Wine Bar is one of my favorite restaurants in Miami and the food is always spectacular. All the dishes are freshly prepared and there’s a lot of variety for everyone. The portions are also huge, so go hungry. 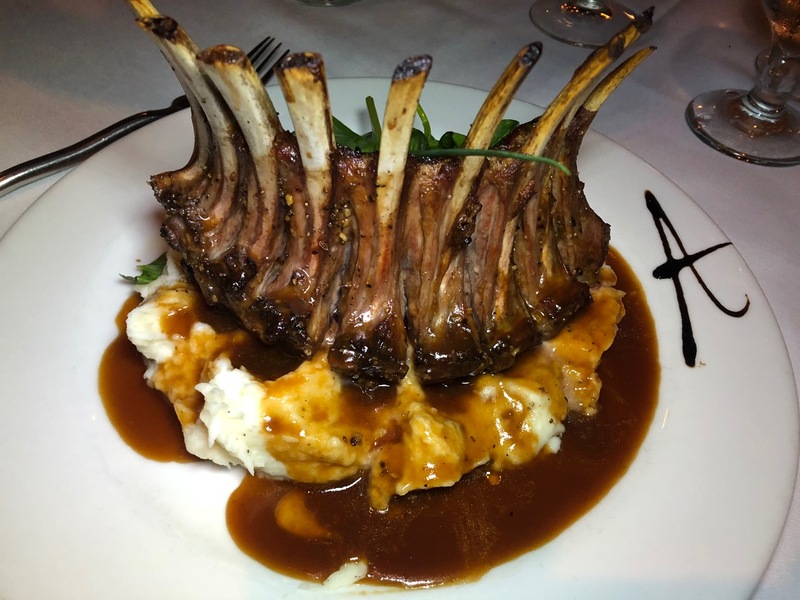 Pictured below: their Lamb Rack. 4. 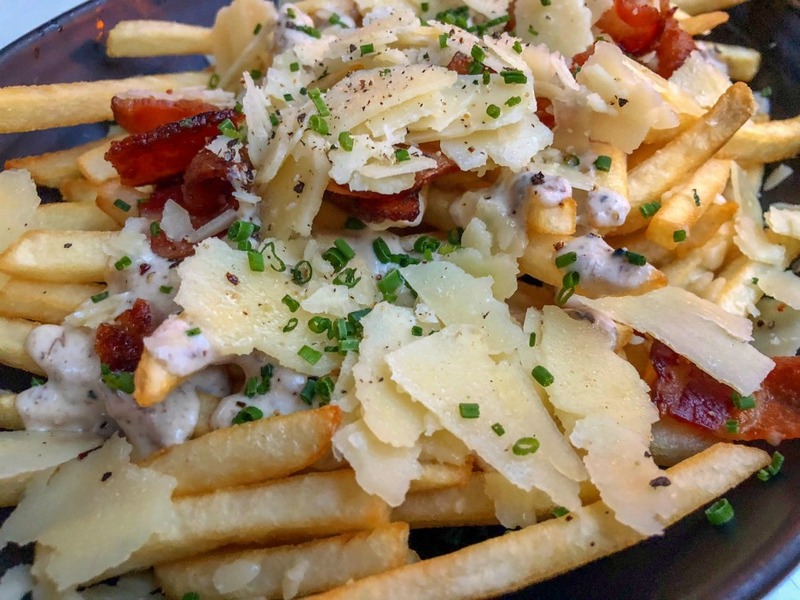 Go for date night: Glass & Vine is a super romantic spot located in Peacock Park in Coconut Grove. It’s perfect for an intimate date night or even for those singles out there, a night out with your friends treating yourselves to some good food. 5. Eat clean: American Harvest. This all natural and organic food spot is the best place for clean eating. With this delicious food you won’t even realize how healthy you are actually being. 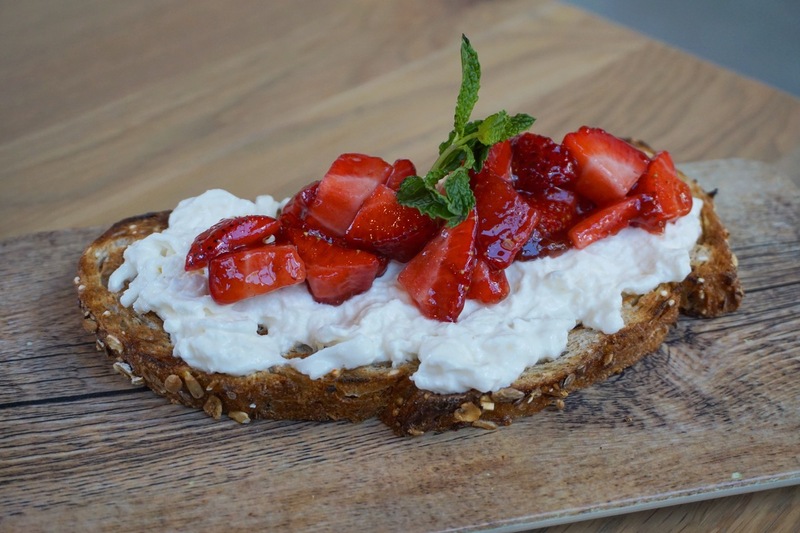 Pictured below: Stracciatella & Jam Toast. 6. Enjoy coffee/tea with a friend: Pasion del Cielo. This little coffee shop with various locations around Miami is a perfect, quiet place, to get good quality coffee with a friend. It’s also a great place for study groups or informal work meetings. 7. 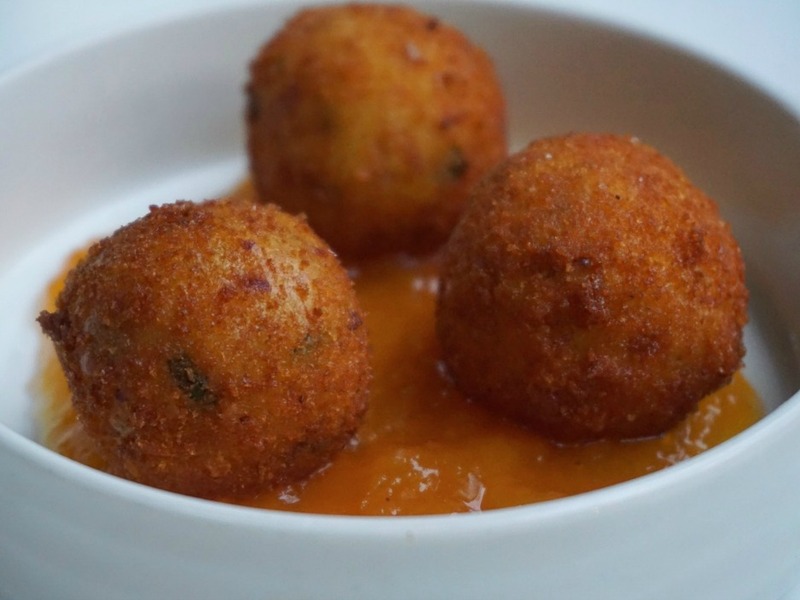 Dine on a budget: NQC. 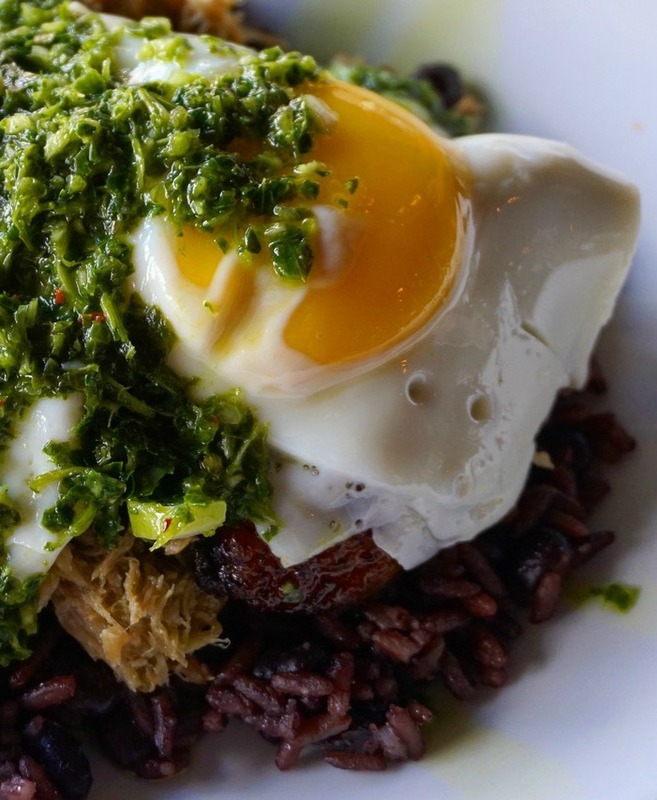 This Miami Lakes gem is a brand new take on cuban food. 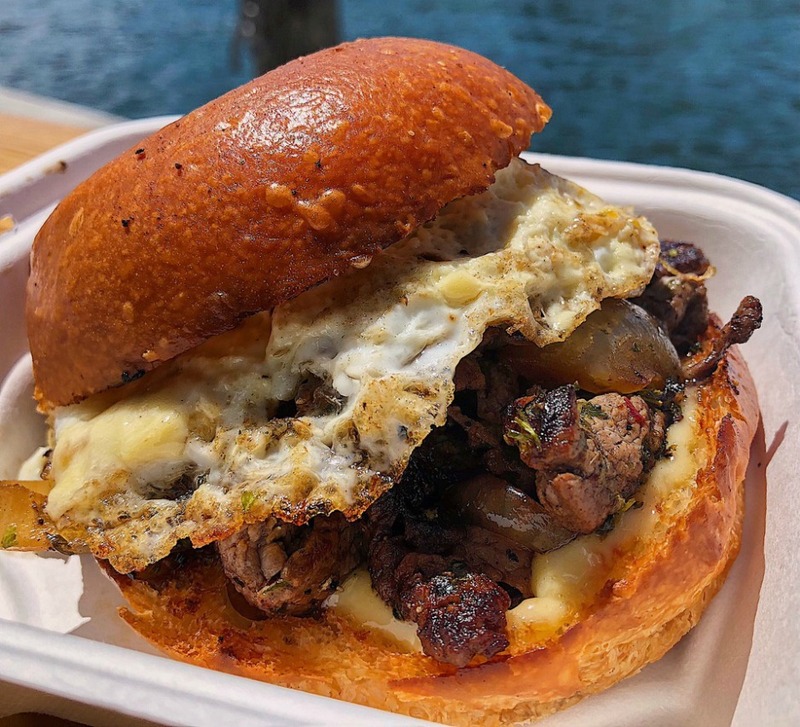 From pan con bistec to a “healthy” vaca frita bowl, they have it all. Located in a little farm store, it makes dining on the go easy. 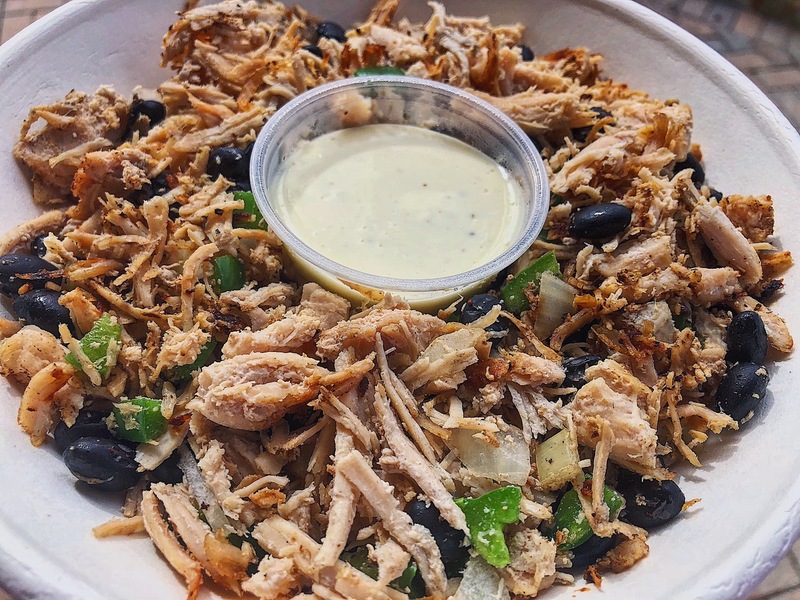 Pictured below: their Turkey “Vaca Frita” bowl. 8. 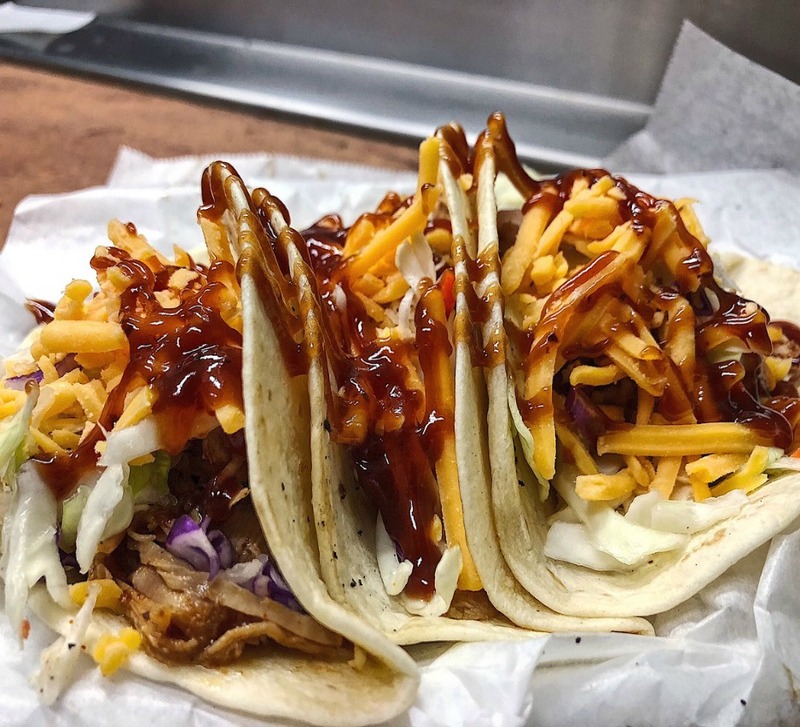 Find the best happy hour deals: American Social/Tarpon Bend: It’s hard to narrow down to just two, Miami has so many great options! But both of these bars offer deals almost everyday, so you can drink on a budget. If these aren’t enough, check out my blog post giving you a guide for drinking in Miami. 9. 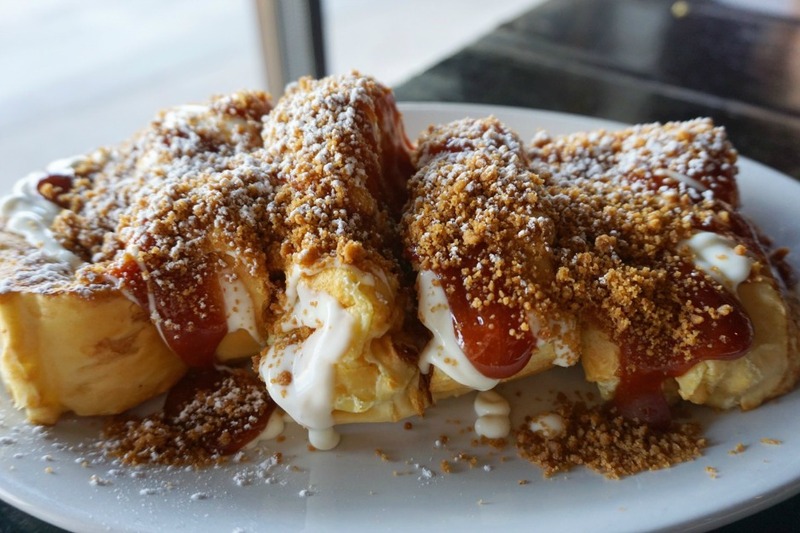 Eat for the gram: Santo Dulce. 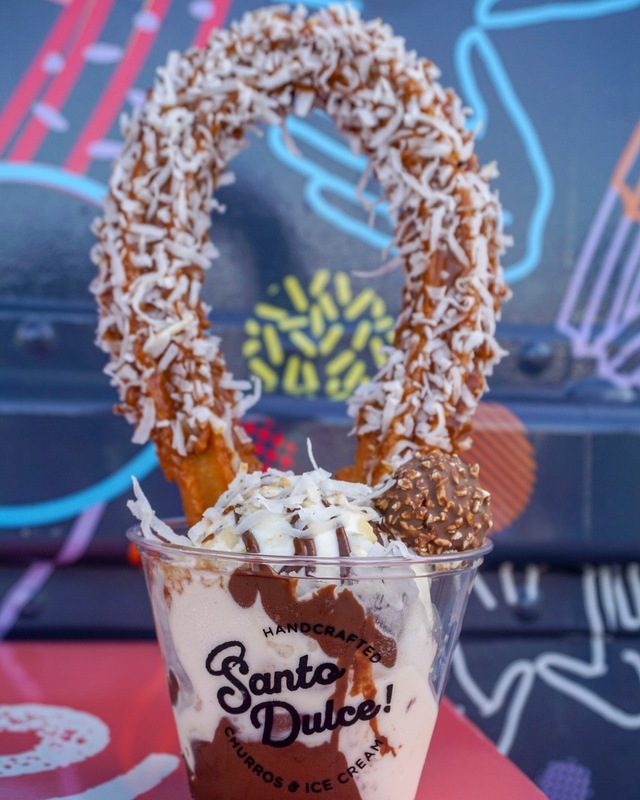 This new food truck is bringing the LA churro-game to Miami. They have a lot of flavors to choose from and their presentation is the perfect way to make your friends jealous of your instagram feed. Pictured below: their Santa Crema 1951 with Dulce De Leche and Coconut Halo. 10. Go with a large group: The Wharf is a new concept in Miami introducing a relaxed environment with a bar and “permanent” food trucks. It’s a great place to go with friends, grab a drink, relax, and play a couple of games. From ribs to seafood, there is something for everyone. 1. Burger: Boss Burger & Brew. 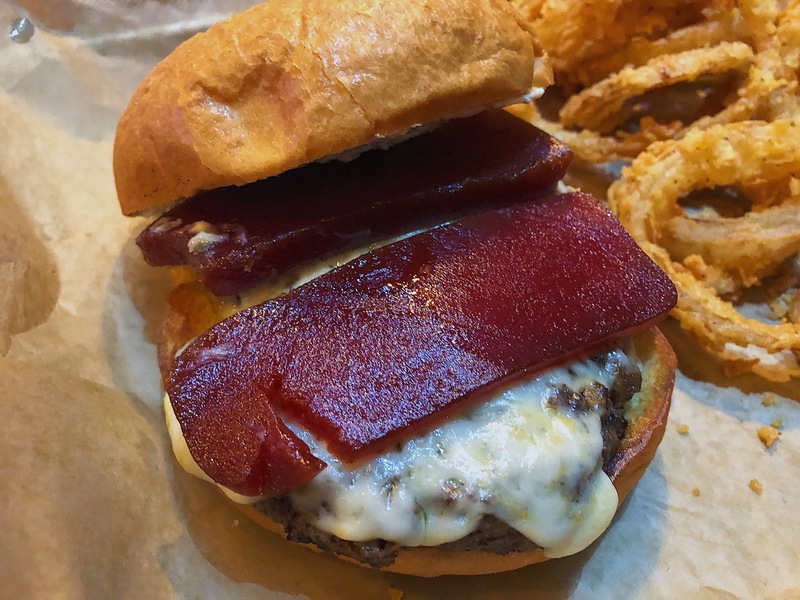 Pictured below: their Paraiso burger. 2. Pizza: Domenico’s Italian Restaurant. 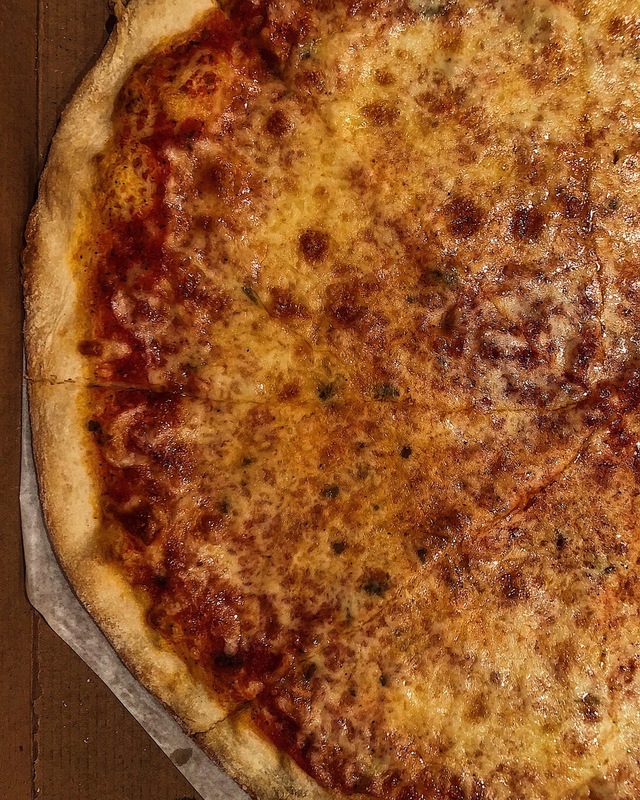 Pictured below: their Cheese Pizza. 4. Asian food: Komodo. 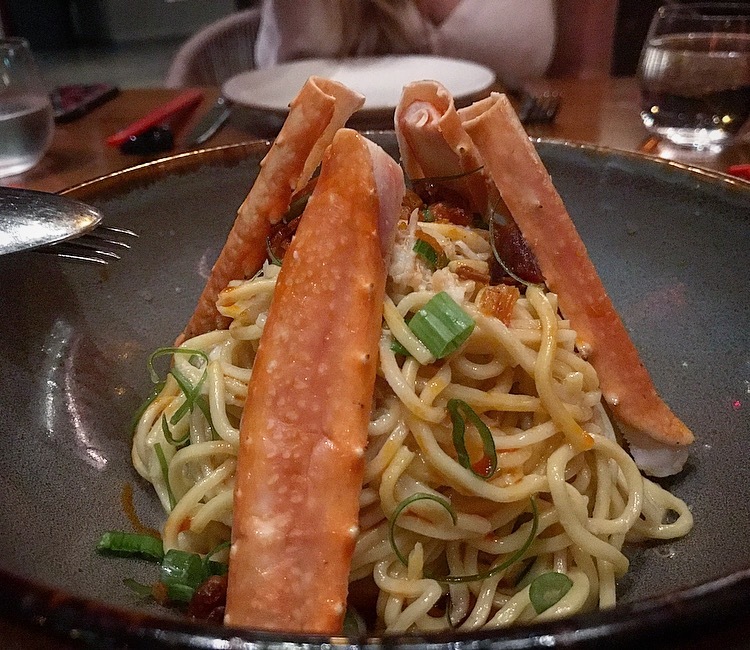 Pictured below: their Garlic King Crab Lo Mein. 5. Drink: The Broken Shaker. 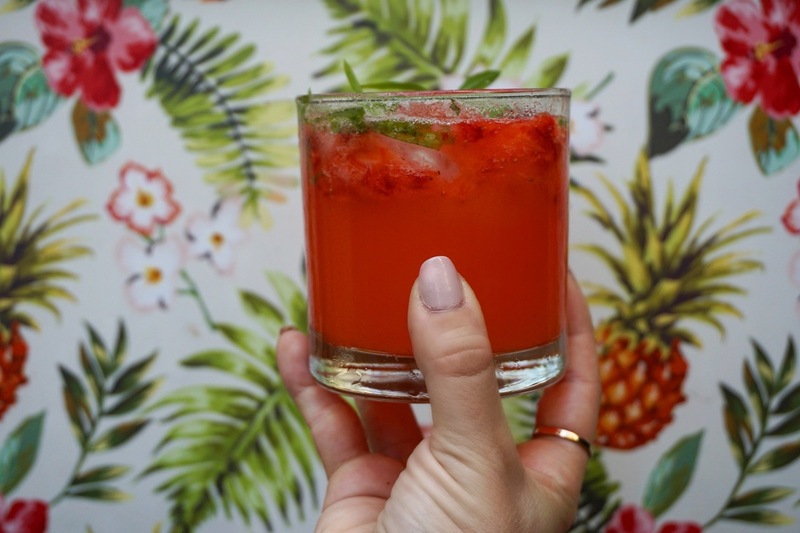 Pictured below: their Strawberry Caipirnha. 7. Seafood: Crudos Fusion Art – not traditional seafood more peruvian fusion with ceviche, sushi, etc. 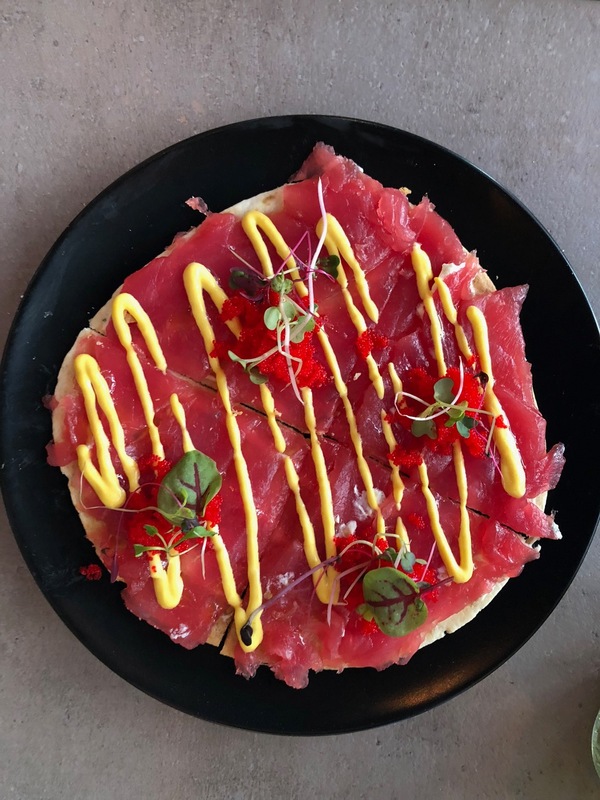 Pictured below: their Tuna pizza. 9. 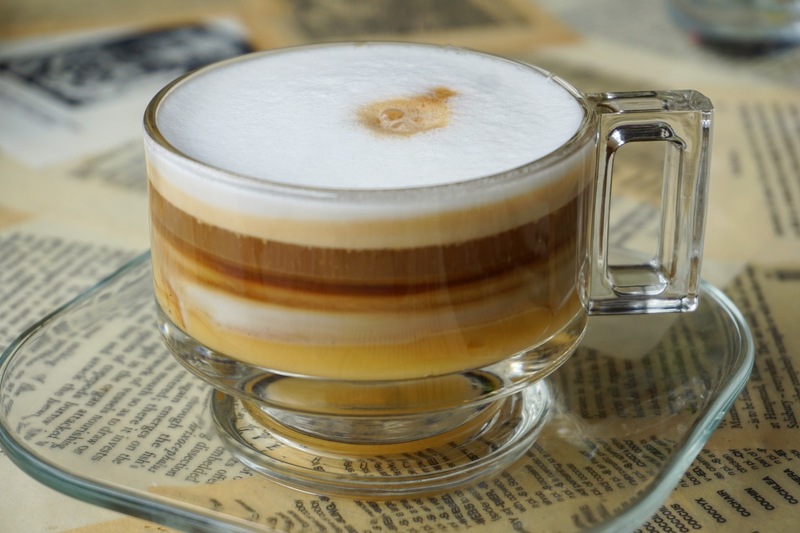 Coffee: Mixto. Pictured below: their Bon Bon coffee. Alright Nomsters, that’s it for today! A huge thanks to the amazing Lauren Diaz for the incredible photos and info. Definitely make sure to check her out and give her a follow – you can find her on facebook, instagram, her blog, twitter, and yelp. To see more from our series, click here, and remember to check back every Monday and Thursday for fresh content! Until next time, friends.